Interested in Sen. Paul Simon's greatest writings? 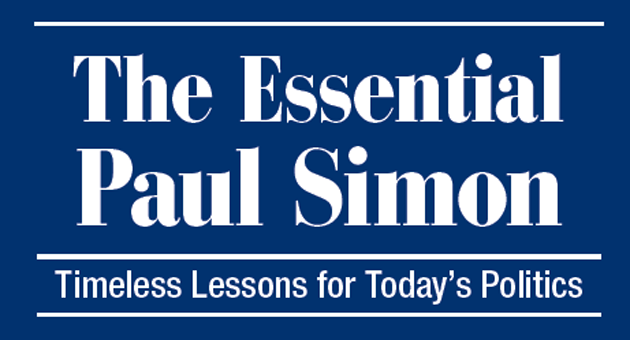 Order "The Essential Paul Simon - Timeless Lessons for Today's Politics" from the SIU Press. This book, written by Dr. John Jackson in 2012 explores some of Paul's most relevant and practical writings that still resonate throughout politics and new conflicts today. Read reviews and order today!